Celebrity endorsements of skin and personal care products aren’t all that uncommon. Anyone who follows any celebrities on social media is well aware of this – manufacturers may pay up to hundreds of thousands of dollars to a celebrity for an endorsement tweet, depending on the size of their social media following. Due to this relatively newfound form of advertising, it’s tough to separate the real from the fake. Which celebrities actually use the products that they endorse? Which products are actually capable of improving skin and other facets of our appearance? Not always so easy to tell, is it? Well, once upon a time – before the advent of social media – there was a skincare product purveyor whose celebrity endorsements were earned, not bought and paid for. His name was Erno Laszlo, and he is known as the father of modern skincare. Welcome to our Erno Laszlo Skincare Products Review! Born in Budapest, Hungary (like the parents of skin icon Estee Lauder) in 1897, Erno Laszlo showed an academic interest in skin pathology from an early age, as well as a passion for fashion and cosmetics. He eventually opened the Ernő László Institute for Scientific Cosmetology upon completion of his studies. Laszlo achieved fame when he successfully treated the skin woes of Princess Stéphanie of Belgium and actress Frida Gombaszoegi, gaining a reputation in his country as something of a miracle worker. The onset of World War II saw Laszlo abandon his wealth and move to New York in 1939. After procuring loans from a number of friends, it was there that he opened a second branch of the ‘Erno Laszlo Institute,’ and it was there that he achieved true global recognition and fame. The love and admiration of Belgians is one thing, but successfully curing the skin maladies of New York-dwelling celebrities is another. As his reputation grew, Laszlo built a stable of clients which included Grace Kelly, Greta Garbo, Marilyn Monroe, the Duchess of Windsor, and Doris Duke. It was Audrey Hepburn who was once quoted as saying, “I owe fifty percent of my beauty to my mother and the other fifty percent to Erno Laszlo.” These celebrities endorsed Laszlo not because he paid them to, but because he was pioneering an industry and introducing products and developments in skin care that were unheard of. What made Laszlo’s products and treatments so unique? The man and his company were simply ahead of their time. Utilizing revolutionary and then-unknown technologies such as microdermabrasion, bioptron therapy, light therapy, oxygen treatments, and more, Laszlo was capable of providing his clients with an experience they could not find anywhere else, as they were not available anywhere else. Throughout the 1940’s Laszlo provided only in-person consultations and treatments – it took over a decade for his retail products to hit the market. At $75 for a single consultation, Laszlo saw no need – financial or otherwise – to be hasty in moving products to market. 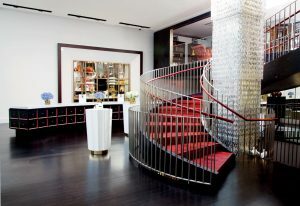 Initially, product sales were limited to members of the ‘consultation club’ – it took until the 1960’s for a full retail launch of Laszlo products. The company experienced perpetual growth throughout the remainder of the century, even after the death of Laszlo in 1973 due to heart failure. Although it has been acquired and re-acquired over the past twenty years, Erno Laszlo Skincare has continued on and carried out operations in the way its founder and namesake intended. To this day it provides quality, effective, luxury skincare treatments for real skin problems. 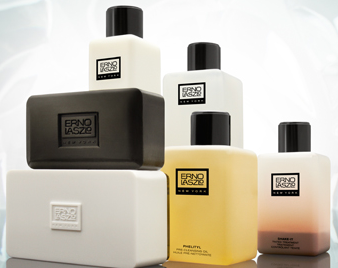 The only difference is, it’s not just celebrities reaping the benefits of Erno’s work anymore – it’s everyone. By Product: Travel Essentials, Masks, Cleansers, Toners, Serums, Moisturizers, Eye Care. By Concern: Exfoliate & Detox, Soothe & Calm, Hydrate & Nourish, Firm & Lift, Whiten & Brighten, Purify & Control, Refine & Restore, Repair & Rejuvenate. By Collection: Detoxifying, Sensitive, Hydra-Therapy, Firmarine, White Marble, Acne Free, Transphuse, Phormula 3-9, Mens Favorites. For the purposes of this feature, we will be limiting our reviews to a select number of the most popular Erno Laszlo skincare products available. At Maple Holistics, we try to provide our readers with the most pertinent information possible – so be on the lookout for these great Erno Laszlo products! There’s night cream, and then there’s night cream. Erno Laszlo Phelityl Night Cream certainly falls into the latter category. A lightweight cream that utilizes one of Laszlo’s earliest innovations – the Phelityl complex – Erno Laszlo night cream delivers moisture to skin like few other products are capable of. By matching the pH levels of the skin and replenishing with fatty acids which are essential to skin health, Erno Laszlo Phelityl Night Cream offers pH balanced skin which displays a plumper, more youthful tone and glow. The formula utilizes Glycerin, a natural moisturizing agent, which blends with said fatty acids in order to restore moisture levels and provide a healthy glow. Silicon aids the formula in rebuilding skin by smoothing and filling out facial lines associated with skin dryness. Lastly, Sweet Birch and Clove Oil exfoliate the skin (expediting cell renewal) and eliminate harmful oils and bacteria in the skin. Erno Laszlo Phelityl Night Cream can be used as a daily ritual cream or for spot, temporary treatments of damaged areas. Typically priced at over $100, the night cream is one of the most glaring reminders of Erno Laszlo’s status as a luxury brand. However, you’re not going to find a more effective night cream anywhere. For true quality and effectiveness in a night cream, look to Erno Laszlo. The most popular soap bars available (like the Dove Beauty Bar or Lush Shower Scrubs) can do a lot of good for your skin. Between cleansing, exfoliating, hydrating, and refreshing your skin, the right soap bar can go a long way towards ensuring skin health. However, there are certain things that typical soap cannot do. At the end of the day, most soaps are not a ‘treatment’ – unlike the Erno Laszlo White Marble Treatment Soap Bar. Utilizing natural fruit acids, Laszlo’s soap bar not only exfoliates the skin’s surface, but clarifies it. Meanwhile, time-released brighteners work to counteract skin discoloration, as well as excess melanin. These are qualities and effects you might expect out of a prescription skin treatment or dermatologist treatment – not your everyday soap bar. The fruit acid complex works with anti-inflammatory willow bark in order to exfoliate and clarify the skin while antioxidant-rich vitamin-C and shea butter protect and moisturize the skin. Read about the Health Benefits of Almonds now! The Erno Laszlo White Marble Treatment Soap Bar is generally priced at – are you sitting down? – $45. 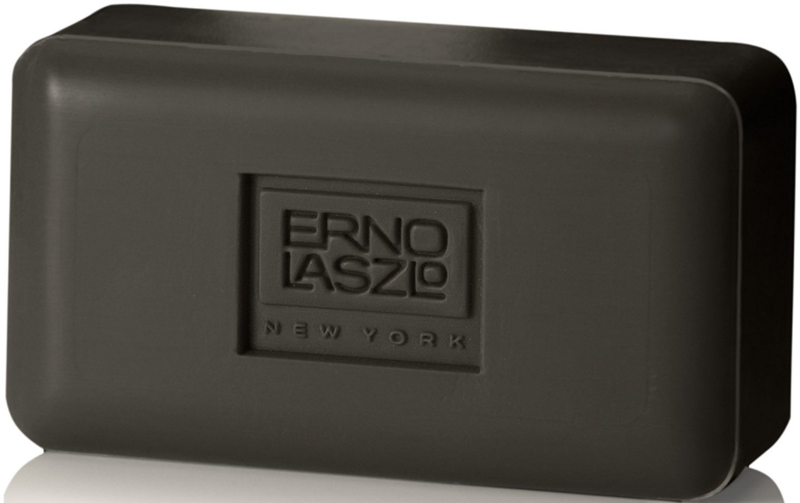 Look, this is obviously a tremendous amount of money to spend on a 5.3-ounce bar of soap for everyday use, but it’s important to keep in mind that there is nothing typical about Erno Laszlo soap. Not only are you getting soap, you’re getting a skin treatment in bar form – try one if you’re looking to go above and beyond what you’ve come to expect out of your shower or bath. Dead sea mud deep cleansing soap bar. Dead Sea mud combined with the therapeutic effects of Erno Laszlo soap? What could possibly be better? Nothing much, as far as skin health. Firstly, Dead Sea mud actively works to transform and restore the mineral levels of skin by utilizing its own 26 minerals which actively work to detoxify, exfoliate, and hydrate the skin. 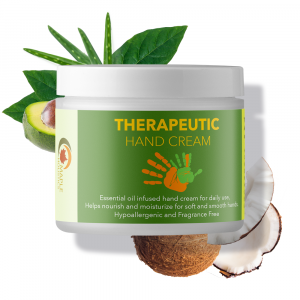 These effects, combined with that of Glycerin (which powerfully moisturizes the skin, leaving it clean and glowing) and palm kernel oils (which regulate the oil content of the skin) make for a powerful soap experience, one that virtually anyone could stand to benefit from. With that being said, however, Erno Laszlo Dead Sea Mud Deep Cleansing Soap is most suited for blemished or damaged skin, which the bar is designed to actively repair. 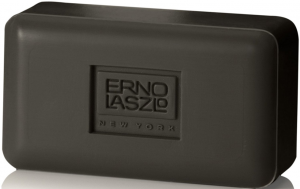 At less than $40 for a 3.5 ounce bar, Erno Laszlo Dead Sea Mud Deep Cleansing Soap is actually more expensive than the Erno Laszlo White Marble Treatment Soap Bar. This is because the same scientifically driven treatment effects contained within the marble treatment bar are utilized in addition to coveted Dead Sea mud properties. Once again, the price is a bit steep for a bar of soap, but the Dead Sea Mud Deep Cleansing Soap Bar is oh so much more than soap – it’s a revelation. One of the most common skin problems plaguing consumers today is that of dull, dry skin. Cell turnover, or skin renewal, is a process that works to keep skin looking and feeling fresh, vitalized, and moist. Dry skin generally stems from stagnant skin renewal, a problem that toners are intended to correct. Erno Laszlo takes the typical skin toner formula and kicks it into hyperdrive. By utilizing Provitamin B5, Erno Laszlo Hydraphel Skin Supplement offers antioxidant support that bolsters the healing and renewal processes and builds skin defenses, preventing against future skin woes. 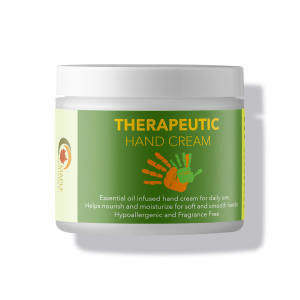 Comfrey Root soothes sensitive or irritated skin while encouraging cell repair and renewal, and Glycerin attracts and hols moisture to provide a healthy complexion. 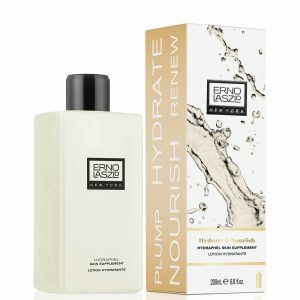 All three of these ingredients combine to form Erno Laszlo Hydraphel Skin Supplement. At $55 for a 6.8 ounce bottle, the skin supplement isn’t cheap, but neither is any kind of powerful skin care. If you’re looking for a ‘toner’ type of a product that flat-out works, and one that takes skin renewal to a new level, Erno Laszlo Hydraphel Skin Supplement is the one for you. In his heyday, Erno Laszlo himself was staunchly opposed to the idea of globbing on makeup in order to counteract skin problems. Laszlo’s thinking was that women should attempt to look beautiful in the way that nature intended – with clear, healthy skin. Not by covering up damaged skin with potentially harmful makeup and concealer. Well, unfortunately for Laszlo, most people do not share his line of thinking and the multi-billion dollar cosmetics industry reigns supreme over women’s care today. Although Erno Laszlo skincare doesn’t contribute to this industry with makeup, it does produce an absolutely excellent makeup remover. Erno Laszlo Multi-Phase Makeup Remover gently removes a face full of makeup while at the same time soothing and hydrating skin, making it a truly multi-purpose supplement. Naturally-derived ingredients like cucumber fruit extract, aloe vera, and arnica flower extract help to ensure that the skin stays clean and clear of harmful makeup buildup, preventing problems before they start. At this point, I doubt the price tag is going to shock you – Erno Laszlo Multi-Phase Makeup Remover is going to run you $55 for a 6.8 ounce bottle. To be fair to Erno Laszlo Skincare, again, this is a luxury brand providing luxury products. You’re not going to find a more effective over-the-counter product for removing makeup, so you do in fact get what you pay for – top-of-the-line quality. If you’re someone who suffers from problems which stem from makeup leftovers or residue, Erno Laszlo’s remover is an excellent choice. 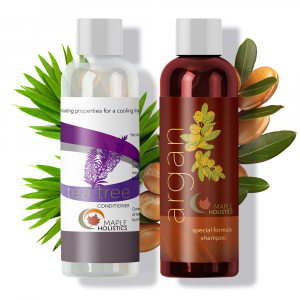 For more on great brands like Urban Decay, Neutrogena, Olay, Nivea, Biore and Jeunesse, check back for more here at Maple Holistics! You can’t always get what you want, but if you try sometimes you just might find that you get what you need! This mantra rings ever-true when it comes to Enro Laszlo and his wonderful company and line of skincare products. For the most effective products in the industry, look no further – this is the brand you need to fix those nagging skin problems that your typical pharmacy labels haven’t been tackling. The price tag is going to look a little different, but Erno Laszlo products are what you need for the skin of your dreams!